The Pens – Gloria Glitter Pen, Denzil the Pencil, Charlotte Chalk, Marco Marker, Splodge, Squiggle and a whole host of others – bring the Bible to life with stories from Scripture and from the Pens' own experiences, combined with insightful comments. Related questions and simple prayers apply the readings to daily life. Creative and fun for parents and grandparents to use, Pens will help preschool children learn to enjoy daily Bible reading and develop a love for God's Word. 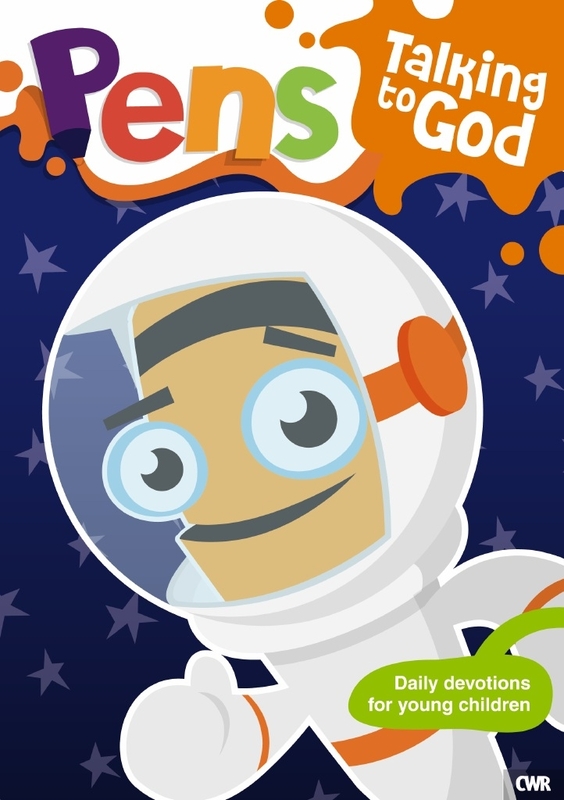 Written in four sections, two focusing on the lives of Pens and two on Bible characters, these undated, 30-day devotionals will teach young children more about God and His Word. In this edition, we see that God chooses to make each one of us part of His people, His big family on earth, so we belong to Him. 'Peter in Prison – God sends an angel'. Pens - Talking to God by Alexa Tewkesbury was published by CWR in July 2012 and is our 2120th best seller. The ISBN for Pens - Talking to God is 9781853457715. Be the first to review Pens - Talking to God! Got a question? No problem! Just click here to ask us about Pens - Talking to God.